What is the Clean Eating Challenge? I am so happy you are committing to kickstarting your month (and ultimately the rest of your year) off right with me! Eating clean is not a fad diet. It has staying power. It is an approach to food that becomes part of who you are, and quite simply, how you live. This month-long challenge will jumpstart your clean eating journey and set you up for future success! The LCK clean-eating challenge is different than your standard 30-day plan in that it’s a little more flexible! It can work alongside another plan, like Whole30 for example, *or* it can help you reach your goals on its own! This YOUR journey to feeling your best. This 30-day kickstart challenge is here to motivate you, support you, and provide inspiration and accountability. Remember: This is a lifestyle kickstart, not just a 1-month diet. Use this as a template for what will fit into your lifestyle, don’t try to fit yourself into a mold. This will be a community to support, encourage, and motivate you! 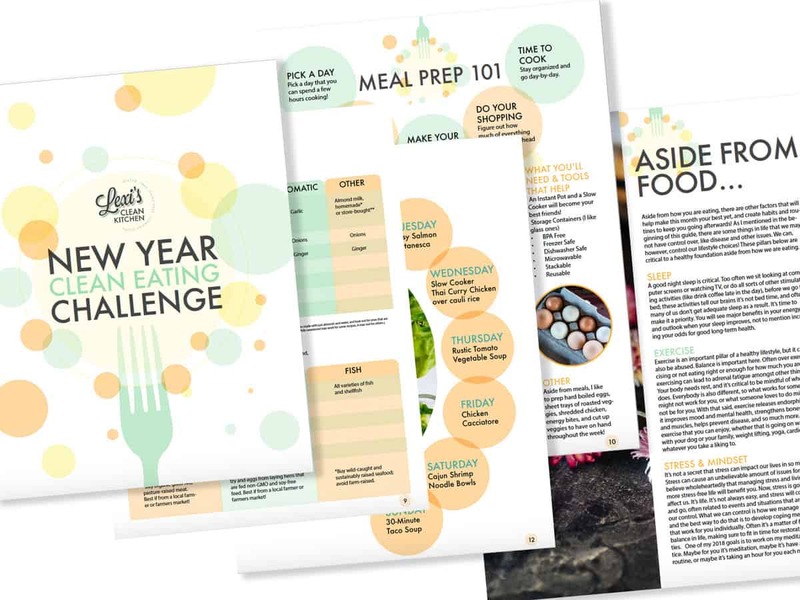 ✓ A complete guide with goal settings, tips and tricks, meal prep information, a guide to cleaning out your pantry, and more! ✓ A variety tips, tricks, and tools to support you on your journey! ✓ Is it free? YES! ✓ Do I need to have a Facebook to join? Yes, you do. The bulk of the communication will be done through our private Facebook group created just for this challenge! It is the best way I have found to communicate as a community! ✓ Is it strict? This challenge is designed to help you reach YOUR goals, whatever they may be. So, it will look a little bit different for each person! Your own personal accountability is a huge part of this challenge, so you’ll need to figure out for yourself how strict you want/need to be to have success and crush your goals! ✓ Do I need to share in the challenge group? Share as much as you feel comfortable! The challenge group will be a place of support, accountability, and so much more. Some will get more vulnerable and share their goals, their progress, what they’re eating, and more. You can decide to share as much as you want! I hope you’ll feel comfortable sharing! ✓ What are the giveaways and coupons? Exclusive coupons and giveaways just for our group will happen throughout the month and will be shared in the private Facebook group! I am so excited about the partners who have joined in this month! ✓ What support will I receive? You will receive a guide that has a variety of tips and tricks, meal plans, a goal setting page, and other tools to support you on your journey! Aside from the guide, we’ll have daily discussions in our group about what we’re cooking, how we are feeling, eating out, meal prep, and more. I will also host Facebook lives to check in! Simply sign up for this email list by May 10th. On May 12th, I’ll be sending out an email with the complete challenge guide (meal plans, a pantry guide, tips and tricks, and MORE). When you receive your email, don’t forget to join the Facebook group right away! Share What You’re Making During The Challenge! 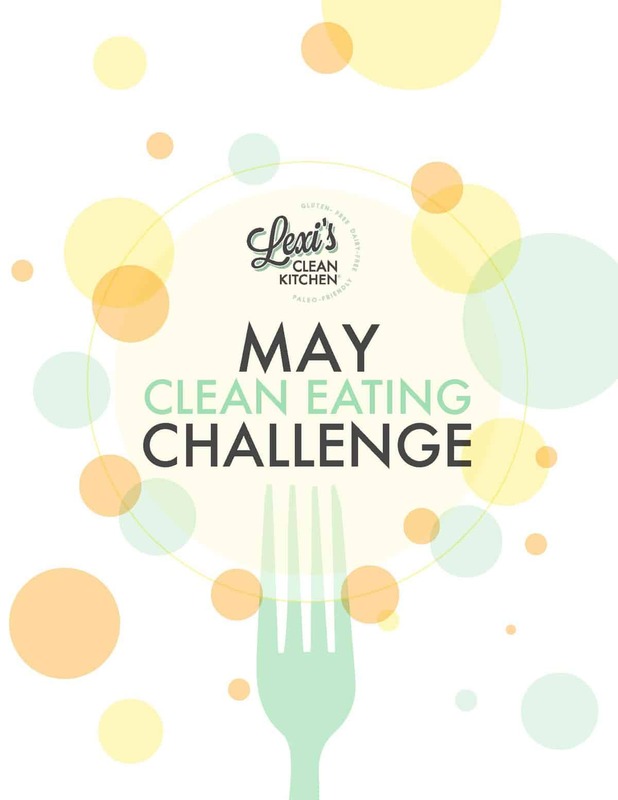 There will be giveaways each week this month, so dont forget to tag @lexiscleankitchen and #LCKchallenge with what you are cooking. I’ll also be sharing your photos throughout the month!